Memory, war and love are central themes of this Man Booker Prize-longlisted novel by Andrew O’Hagan, who will be a guest at this month’s Adelaide Writers’ Week. Central to story is Anne Quirk, an elderly woman who in her youth was a pioneer of documentary photography, but whose rapidly disappearing memory threatens to swallow her mysterious past. The extract below comes from “Video Games”, in chapter one of the book, where Anne, her daughter Alice and neighbour Maureen are discussing Anne’s adored grandson Luke, a captain on a tour of duty in Afghanistan, who will ultimately prove key to unlocking her secrets. Anne was irritated. She drank her tea. An old sentence ran in her mind whenever Alice was giving one of her speeches. ‘She knows the price of everything and the value of nothing.’ Luke was like her and not dull or small like his mother. He was someone who loved pictures, shells, and all sorts of things. He loved to fly away. She could recall seeing the start of an artistic temperament in the boy and being delighted. It had spelled out a closeness between them. He once dropped in from school to tell her that Lysander was not only the name of a fighter plane but a Spartan warrior, and it remained with her, the way he smiled, the way he ran into the living room with his big open eyes. ‘He’s a cut above the usual kid, my grandson,’ she said. Alice didn’t go into it, didn’t say that when she’d opened the door to her son’s flat, she suddenly felt safe. His mail was piled in the hall and she gathered it all up. She put it on the kitchen top next to some empty beer bottles and a book called Kim. She went round dusting and she loved loading the dishwasher and making the bed. She boiled the kettle and she enjoyed choosing a cup and placing it on a saucer. She loved cleaning an ashtray and taking it out onto the narrow balcony and smoking a cigarette, looking over to the glass roof of the railway station. Luke was in a desert at that very moment and he was probably shooting a rifle or riding in a tank and she was here, waiting. It wasn’t the life she wanted for him. And she was sure that was one of the reasons he wanted it for himself. When she walked around the flat that day, Alice had worried that maybe her son didn’t really know how to live. He was one of those people whose sitting room is full of travel stuff and suitcases, duty-free bags, washing kits, as if he didn’t really live anywhere and just wanted to be in transit. Those people are sort of homeless, she thought. They don’t know how to belong or how to be at peace with themselves. They live out of bags; they eat on the run. And there’s no dignity or order in that kind of life. To not know where the clean towels are kept or that you have cutlery in the drawer; it’s no good, she thought, it’s a half-life. ‘What are the cables for?’ Maureen asked. When Anne looked up, ready to scrutinise her daughter, she noticed Alice had some kind of light stuff under her eyes. It’s one of those make-up pens that are supposed to take years off your age, thought Anne. One of those concealers you can buy. She’d seen them in magazines and thought it was silly to touch up your pictures. Anne got in quickly. ‘His name was Sean Campbell.’ She put her hands on the table and began smoothing them. ‘Holy Mother of God,’ Maureen said. ‘You were living in Glasgow?’ asked Maureen. ‘It was planes,’ Anne said. ‘The North Pier,’ Anne said. ‘They just ignored her. It was now part of the routine, to assume Anne was now and then speaking to herself. ‘Everything was before me,’ Alice said. At times she felt that her mother might suffocate her with the past. Yet she went silent, admiring the mix of periods, wondering if her mother’s neighbor had any notion of the places that Anne had been to in her busy life. Sometimes Alice would just be sitting like this and she’d suddenly realise she was in pain, without really knowing where it came from. Extract from chapter 1 of The Illuminations, by Andrew O’Hagan. Republished with permission. London-based O’Hagan, who has been twice nominated for the Man Booker Prize, will speak about The Illuminations at an Adelaide Writers’ Week session on February 29 and will join fellow author Paul Yoon for a session titled “War Stories” on March 1. Writers’ Week will run from February 27 until March 3 at the Pioneer Women’s Memorial Garden. 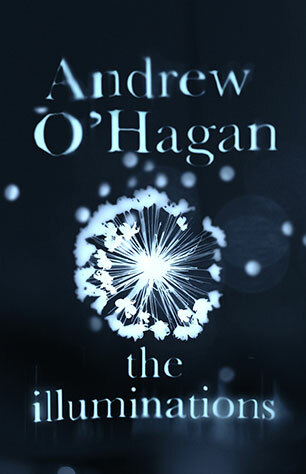 The Illuminations, by Andrew O’Hagan, published by Faber.